The DSC WTK5504 is a touchscreen controller that is compatible with DSC Impassa, Alexor and PowerSeries Panels. It serves as a system access point, and it provides a quick and easy way to arm and disarm your security system. Add a new access point to your DSC System with the DSC WTK5504. The DSC WTK5504 is a wireless touchscreen keypad that works with the Impassa, Alexor and PowerSeries Systems from DSC. The device serves as a secondary access point for a DSC System. 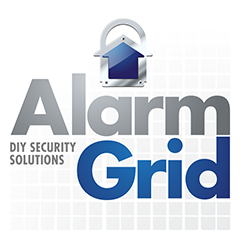 It is a convenient tool for users who want to access their alarm system from multiple on-site locations. Many users will install the WTK5504 near their main entrance point so that they can quickly disarm their system when they enter their property. The WTK5504 is great for this purpose, as a touchscreen controller provides a quick and easy way to arm and disarm a system. Additionally, if an intruder destroys this device during a break-in, it won't affect the actual system, as it is just a keypad, not the actual system. The touch screen on the WTK5504 measures at 4.3", and its full color menus are easy to navigate. It features five programmable function keys and three emergency keys for additional control. The device will display any message from Alarm.com to give the user a quick notification of system events. A tamper switch on the device will alert the system if anyone tries to open up or disable the keypad. The device's backup battery will keep the system running for up to 24 hours during a power outage, and it has an estimated lifespan of roughly three to five years. Please note that the WTK5504 only supports user-level programming. Installer programming is not possible on the WTK5504, and it must still be done from the main control panel in the case of the Impassa or from a WT5500 Touch-Button Keypad on a Power Series panel. Can I Use More than One Keypad On a DSC Impassa? Is the WTK5504 Compatible w/ a PowerSeries PC1616/PC1832/PC1864?